For 30 years the Venezuelan Francisco de Miranda plotted to free Spain’s colonies in the New World. Miranda lived a fabled life as an adventurer and mercenary soldier, supported by powerful patrons in England, France, the United States, and Russia. He was paid and protected by William Pitt of Britain and Catherine the Great of Russia, fought for France as a revolutionary general, was tried for treason in France, attempted to invade New Spain in 1806 with two hundred raw recruits, and for a few months in 1812 was the first dictator of an independent Venezuela. Betrayed by his deputy Simón Bolívar, Miranda was taken prisoner and died in a Spanish dungeon as Bolívar renewed his war for independence. In this work of creative nonfiction, award-winning Canadian author Denis Smith tells a compelling story of intrigue and misadventure, posing questions about empire, diplomacy and the quest for freedom which continue to resonate today. “This is a sure-fire five-star read for anyone even mildly interested in Europe and the Americas during the revolutionary era. As one reads it, one sees parallels with the current, post-colonial struggle in the Middle East — the overthrow of tyrants and the search for justice and proper, representative government. The chief actor, Francisco de Miranda, was a dreamer, a schemer, and a revolutionary leader who met and dealt with all the major political figures of his time — in Europe and America. A man of great charm and a notable fore-runner of Simon Bolivar. –Eric Bergbusch, retired Canadian diplomat and former ambassador. –Ron Wright, author of A Short History of Progress and What is America? 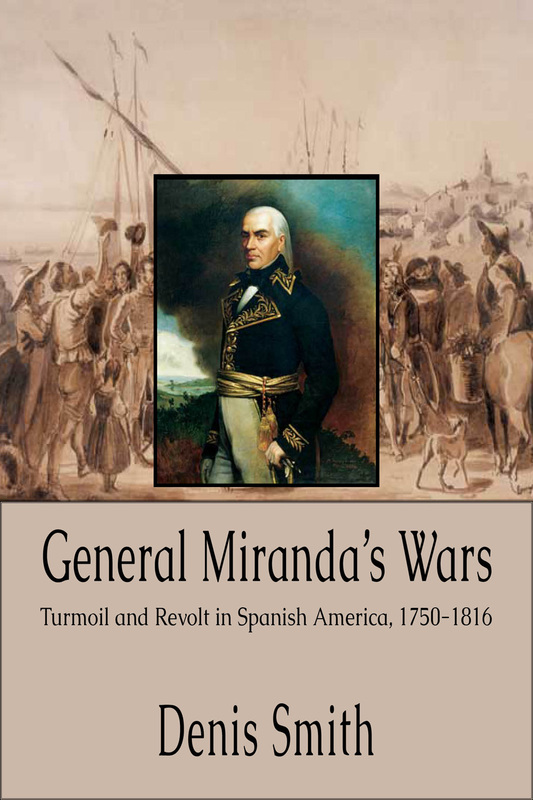 Read or write a review of General Miranda’s Wars on Goodreads here.